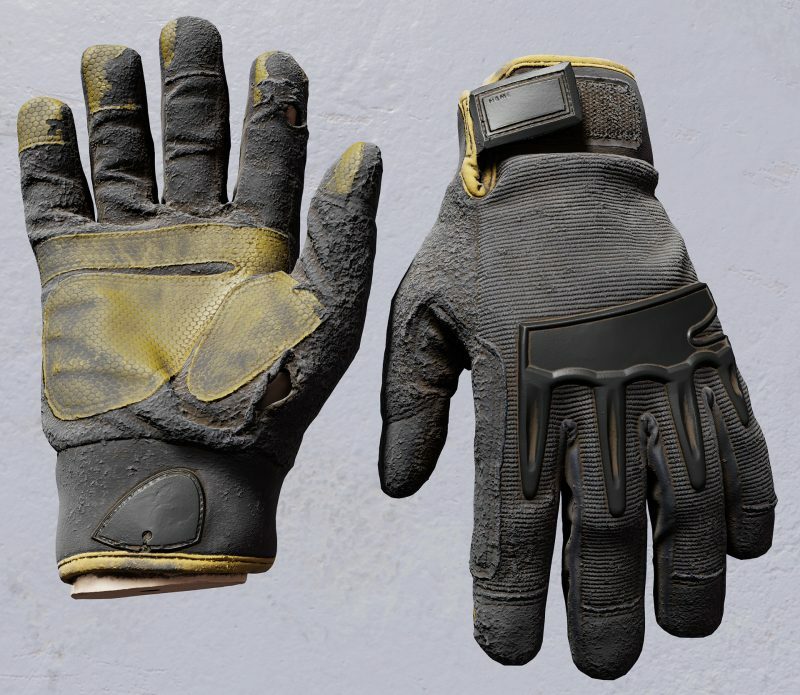 I wanted a nice looking set of replacements for the default Unreal hands but I didn’t want to take a week+ to build them in marvelous designer and Zbrush. Like with the car parts, I am using photogrammetry to get a high quality result quickly. The scan was about 350 photos process in Reality Capture. Building lowpoly meshes and UVs for organic models like this is much easier than with the car parts since the topology doesn’t need to sit dead on a bunch of sharp corners. Total production time on these hands from shooting photos to having them working in unreal is about 12 hours (scan was processed during non work hours). The textures were done in substance painter. 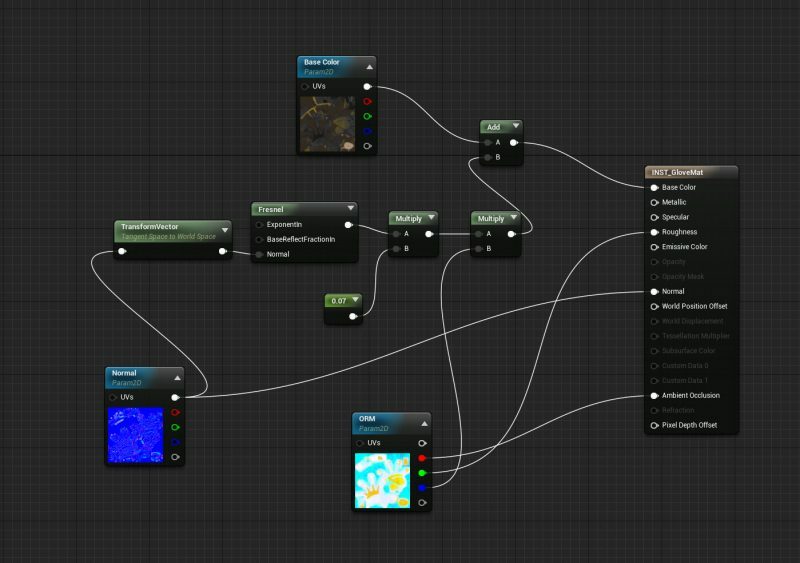 I made a custom material in unreal that adds some fresnel to the albedo channel in order to help sell the look of fuzzy cloth. The metalness channel of my mask texture wasn’t being used so I am using the blue channel to mask between rubber and cloth areas. Those look amazing man! 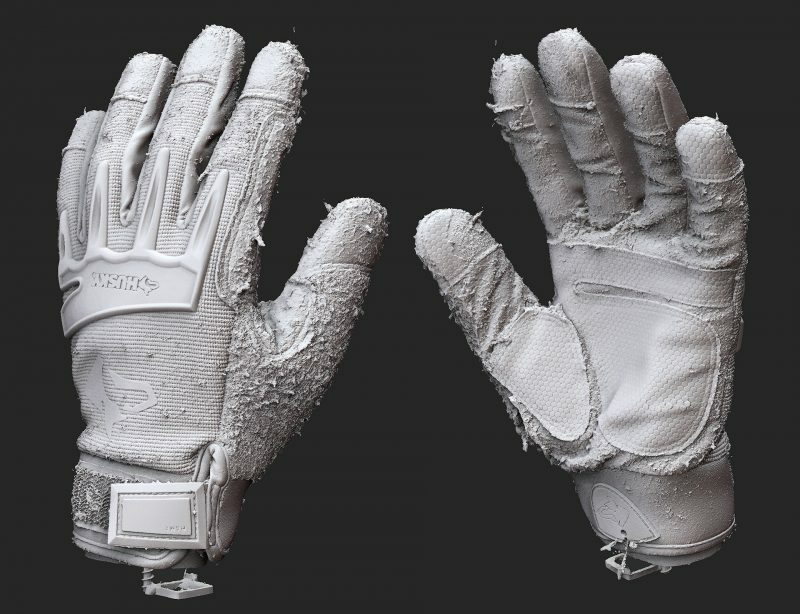 How did u go about doing the scan of the glove? Did you have a friend wear the glove or did you have the glove on a mannequin hand and did the photos studio style? Id love to hear about the process you did for these!